So you’ve been hearing a lot of buzz surrounding bees lately. They’re declining in numbers. They are an important pollinator. Losing them could be catastrophic. But what does it all really mean? How much does it really matter? 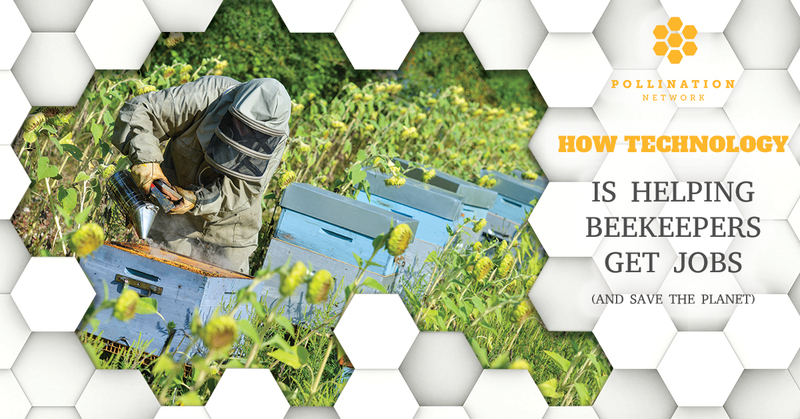 If you’re a grower or a beekeeper, then you probably know the answer to that question. Honey bees are credited with pollinating as much as one-third of the global food supply. That means they are also a foundational piece for one-third of the world’s agricultural economy. However, bees are becoming more scarce. The Pollination Network understand the critical juncture at which growers and beekeepers stand, and has decided to do something about it. By creating the first networking application built specifically to connect growers who need bees with the beekeepers who have them, Pollination Network is supporting growers and beekeepers, while also promoting economic and agricultural viability within the American agriculture industry. Today’s blog will focus on how this technology connects these two important groups. If you’re a grower or beekeeper who would like to learn more about or join the pollination network, then visit our site today. As a beekeeper, finding work for your bees can be time-consuming, frustrating, and ultimately, there are no guarantees that you and the grower will agree on the terms of pricing, duration of work, etc. The Pollination Network app gives beekeepers up-to-date listings of growers who are actively seeking bees to pollinate their flowers and crops. Best of all, more growers are joining every day, so the opportunities for finding quality jobs for your bees continues to expand. No more networking through friends and professional acquaintances, no more hunting on Craigslist for ambiguously described jobs. When you download and use the Pollination Network app, we bring the jobs to you. Each job listing will provide specific information on the rates, type or number of bees that are sought, and the target crop type so you can choose the jobs that are right for your colony. Once you have downloaded the app and agreed to jobs with a few different growers, you’ll find that you are expanding your professional network and increasing your opportunities to put your bees to work. By getting to know these different growers, you’re sure to develop long lasting relationships that will provide future work inside or outside of the app. After all, our goal is to connect you with the people who need your services, no matter how we accomplish that. In time, your reputation will grow and you may even begin to find that new growers who you haven’t worked with will start reaching out to you directly to hire your amazing bees to pollinate their crops. At the end of the day, we need consumable crops, which need growers, who need bees from beekeepers. With the help of the Pollination Network, all of these pieces can come together in one place to promote a sustainable agriculture system for all of us. Putting food on tables, creating work for beekeepers and their charges, and helping to build a larger, more sustainable economy for the lynchpin piece in all of it – bees. If you’re a grower or a beekeeper, then we encourage you to learn more about the Pollination Network and download our free app today. It’s never been this easy to connect with the work opportunities and pollination resources that you need.